MLS#: 2481164 - Courtesy of Mb Cherry Tree Properties Inc.
Willow Creek Living at itâs Finest! 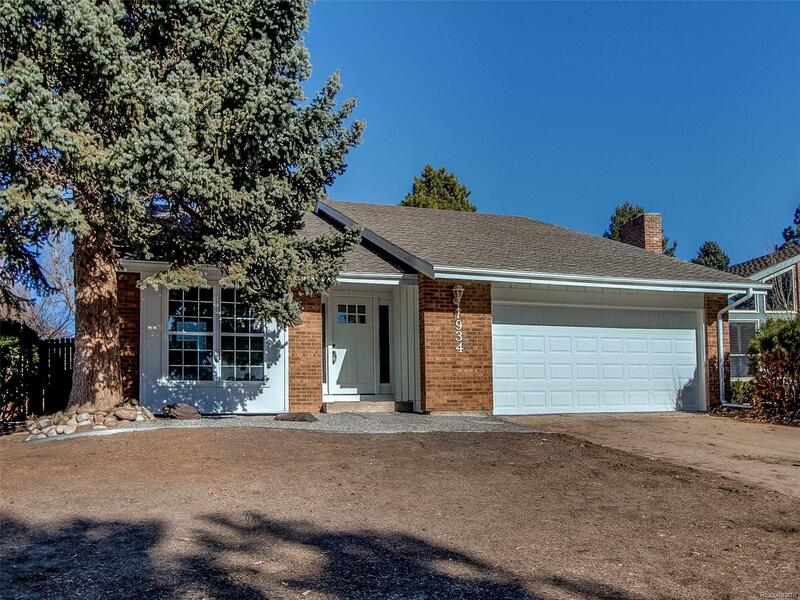 Totally remodeled home backing to greenbelt and only steps from fantastic Willow Creek Park! Two Master Bedroomsâone on the main level and one upstairsâoffer so many options! 4 Bedrooms total and 3 baths, brand new Kitchen with new soft-close cabinets, quartz countertops, tile backsplash and Stainless Samsung Appliances. All of the bathrooms have been completely remodeled with new tile, cabinets, flooring, fixtures, lighting and more! The large vaulted living room features a wood burning fireplace for those cold winter nights. New doors, knobs and hardware, interior and exterior paint, all acoustic ceilings removed, carpet and flooring, lighting, switches, outletsâvirtually everything in the home is new! The windows are newer as well. Other features include vaulted ceilings, skylight, ample natural light, the large deck and yard with mature trees offer multiple options for outdoor entertaining!